This is not your typical multiplex movie, but it was given a wide release and marketing that suggested it was a relatively mainstream-style horror flick. What it really is though is an auteur-fuelled, rather experimental arthouse movie, filled with allegory and surreal, Bunuel-esque touches, but done on a big budget and starring the biggest actress in the world right now. It’s a tough film to describe, but Lawrence plays a woman who’s continually doing up a house she lives in with her poet husband (Javier Bardem). Their peaceful, solitary existence is disrupted by the arrival of a man (Ed Harris) and his wife (Michelle Pfeiffer). Soon things have turned violent, and when Bardem manages to finish the poem he’s long been working on, things get increasingly bizarre – indeed, some would say the movie goes batshit crazy. You can certainly understand why a lot of people hated it. mother! 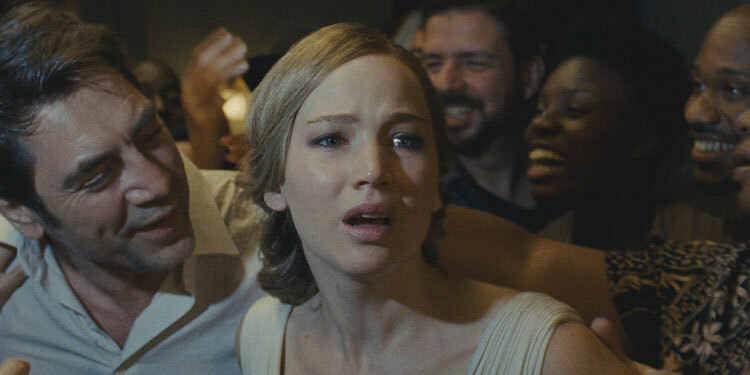 starts with a slow-build, feeling almost like Rosemary’s Baby, with the sense that there’s something not quite right and that everyone knows something that Jennifer Lawrence’s character is oblivious to. Rather than continuing in that vein, it suddenly starts dealing with a thousand other things, as crowds of people turn up to hear the words of the poet, a literal war breaks out inside the house and things turn cannibalistic, while Lawrence’s ‘mother’ is put through the ringer in almost sadistic way. It is extremely peculiar, and on the surface seems pretty random. Things happen that seem to make no sense, there’s some truly nasty violence and anyone hoping that at the end all will be revealed will be sorely disappointed. Therefore, if like many viewers you like movies that are relatively straightforward to follow, you’re going to hate it. So why did a majority of critics like it? It’s because when you realise what the film is attempting to do, it’s difficult not to applaud its sheer audacity. It’s a movie with the sort of ambition that most filmmakers wouldn’t even dare to attempt. However, from Requiem For A Dream and The Fountain to Black Swan to Noah, Darren Aronofsky has never been one to shy away from trying something different. 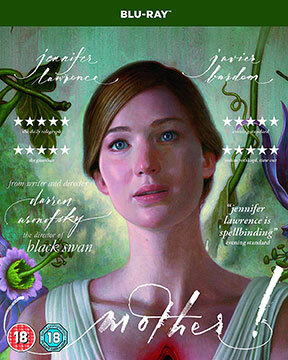 After all, Black Swan was often strange and surreal, but audiences went with it – but with mother! he went a little too far for many. Everything becomes metaphor and allegory, and once you realise what it’s doing, it is undoubtedly quite something to behold. However, it is so ridiculously ambitious that unsurprisingly it struggles to contain everything it wants to do. Particularly in the second half it’s trying to cram so much in that it becomes messy, confusing, and at times too pretentious for its own good. It’s impressively filmed and some of it is visually fascinating – something particularly notable because the whole thing is set inside a single house – but it’s also sometimes difficult to follow and occasionally impenetrable. I also wonder whether the way it presents femininity as a passive force is actually more old-fashioned and reductive than it seems to realise. It’s been commented on that the film, and particularly Bardem’s character, represent a toxic, destructive, patriarchal masculinity. However, Lawrence’s mother! isn’t exactly an enlightened female. There is allegorical logic to why she’s presented as a bit of a damsel in distress who’s constantly assaulted by outside forces, but it undoubtedly relies on some pretty old-fashioned tropes of women being passive victims of their own lives. mother! is a film that’s easier to be impressed by than it is to like. I’m very pleased I watched it, but it’s difficult not to feel it’s trying to do too many things and doesn’t exactly help the audience to be pulled into its world. It assumes you’ll get its religious allegories, while not doing a vast amount to clue people in – but if they’re not clued in, nothing makes any sense. As it increasingly becomes like a hallucinogenic nightmare, it cannot help but polarise audiences. It does mean though that if you get pulled in by its audacity, it’s a film you may love, but many others will just think it’s a strange, chaotic mess. I was certainly impressed, but for me it’s just too hectic and messy to truly be considered a full-on success. Overall Verdict: A crazy movie of astonishing ambition which is fascinating to watch, yet also unwieldy and at times confusing. I loved “mother!” I haven’t had a movie impact me so viscerally since “Blue Velvet.” I was almost shaking as I walked out of the theater and back to my car. I knew I had seen something very allegorical, some kind of creation myth, but it took a lot of speculation and discussion before I pieced it together satisfactorily.